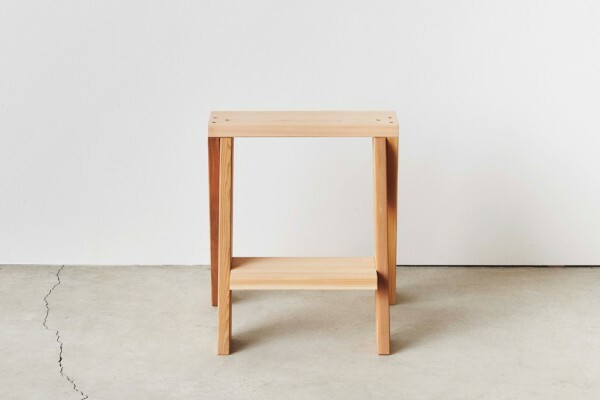 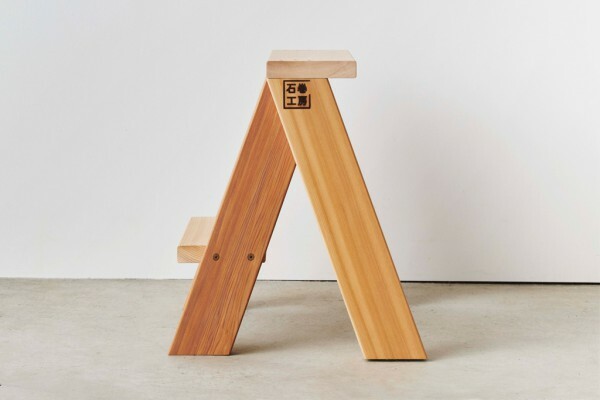 Made from dimensional lumber, meet the step stool of the AA STOOL series. 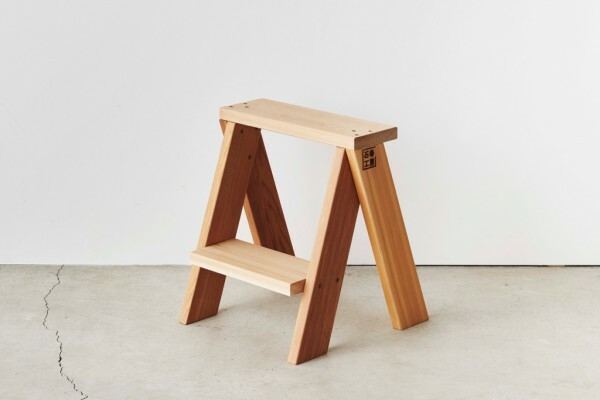 It serves not just to help one reach high-up objects, but as a stool for one to take a quick rest on. 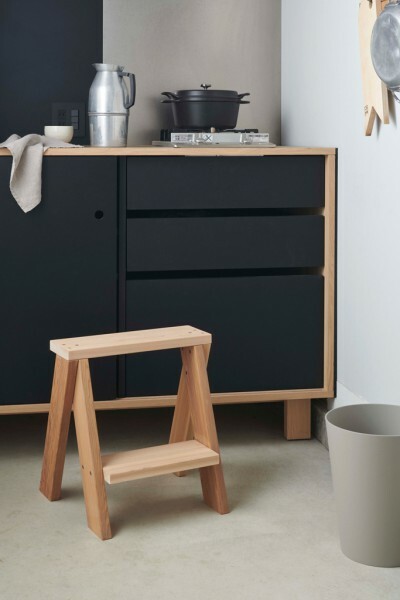 When two or more stools are joined together, they can be stacked laterally just like the AA STOOL to be placed in a compact manner.